A table of ten or so rows is easy to find information in. A table of ten pages—that's harder. 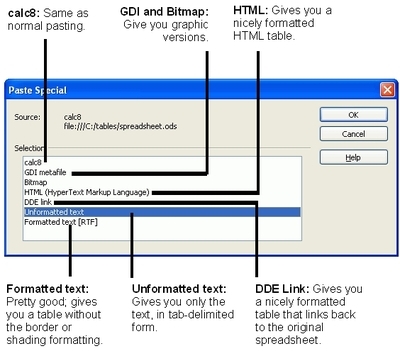 Select the table, including the headings. 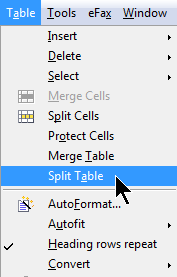 Choose Table > Sort. You'll see this window. It looks really techy and complicated, which it is, but I'll point out the really important stuff. This part is very important. Be sure that you select Row where indicated. This means that it is the rows of information that will be re-ordered. However, you're sorting by a particular column, like the Name or Postal Code column, and Column will show up elsewhere in the window where you do the actual sorting. It's kinda stupid and complicated, but you'll get used to it. Now you select the column to sort by. 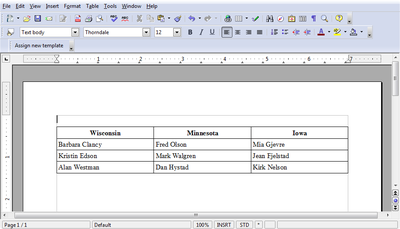 Leave Key1 selected, then specify the column you want to sort by (might be Firstname, but you just select the number). 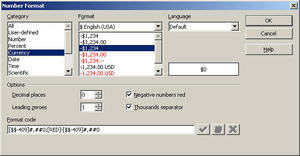 Also select the type of data, Alphanumeric or Numeric. 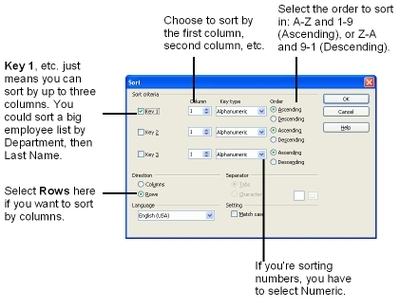 If you're sorting by numbers, you MUST select Numeric. Then select the order: Ascending (A-Z, 1-9) or Descending (Z-A, 9-1). Click this image to see it a bit bigger. If you want to sort by two columns, such as by state and then by last name, for instance, then you'll want to use the Key 2 options. 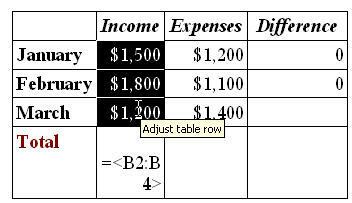 For Key 2, select the column to sort by, the type of data, and the order, Ascending or Descending. There you are, all sorted. The more separate they are, the more you can change one without affecting the other. And the more you can make changes fast. You already know how to do this. Styles are one example. 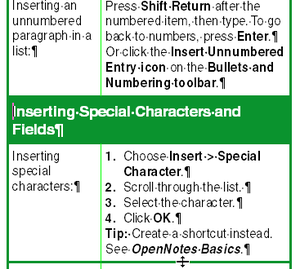 Another is the automatic number formatting you can apply in spreadsheets. Typically this is for numbers that express dates, dollars, percentages, etc. 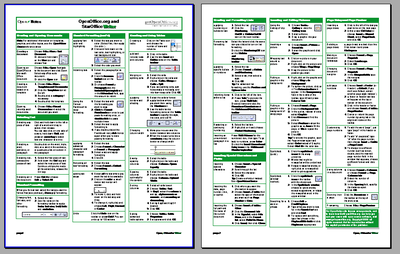 Here's the spreadsheet with no formatting, and below with automatic currency formatting. You might not know yet, however, that you have the same abilities with numbers in Writer tables. 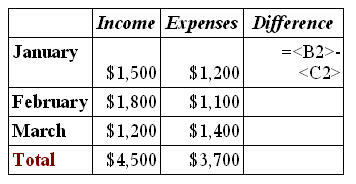 Here's the same information in a table. 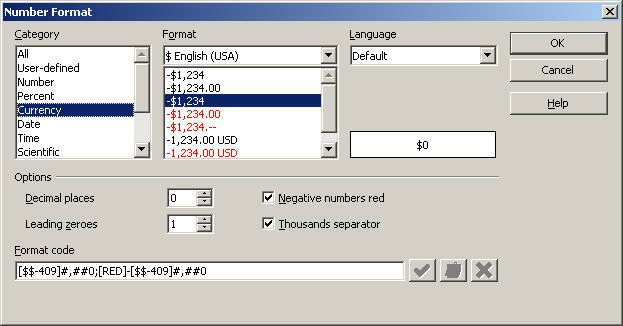 To quickly apply or change the number formatting, select the cell or cells, right-click, and choose Number Format. In the window that appears, select the format you want. First select the Category, then the Format. 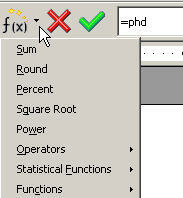 You can fiddle around with the options below the lists, including number of decimal places. Click OK, and you've got the formatting. 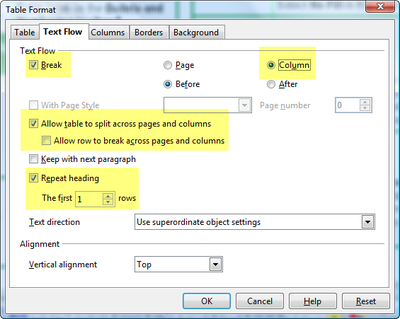 If you change your mind later and want different formatting, it's easy to change; just repeat this procedure and pick different options. Tables are a good way to arrange data. Nice, structured, borders between each cell, etc. 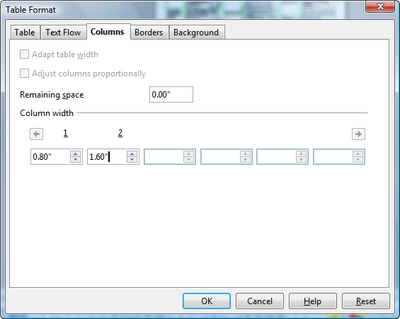 The only question is, how do you get the data into a table format? You can type from scratch, of course. You can painfully copy and paste. Or if your data is set up right, with a tab or comma or other item separating the data into columns, you can just convert the text to a table. Let's say you've got this. The arrows are tabs separating the "columns" of data. (And let's say that it's actually about ten pages long, since this feature is a big timesaver but only if you've got a bunch of data to convert.) The blue is just artistic license. 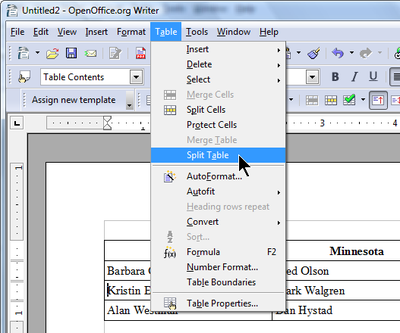 Choose Table > Convert > Text to Table. You'll see this window, where you can specify exactly what separates each column of data. It might be a tab, a comma, etc. 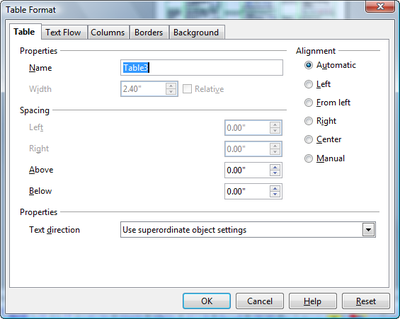 Also set the options for headings, in the bottom part of the window. 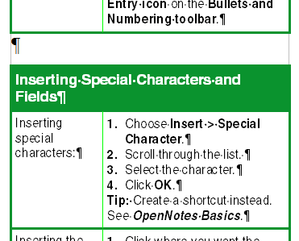 The example text here has headings, but yours might not. If, through some sort of search-and-replace procedure, or for whatever reason, the % or & character separates each column, then you can specify that. As long as it's a keyboard character, you can specify it. 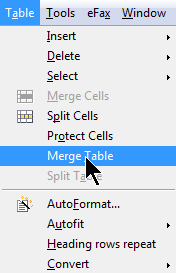 Click OK, and you've got your table.